Editorial: BANG BANG BANG Intra-Brand Shooting - Good, Bad and Ugly! Raw and Smackdown have recently chosen to up their "Gunplay" on their PG shows. Promos, especially THIS week, have been remarkably "shoot-y" in an attempt to be more "Edgy" and perhaps relevant. In small doses, a "shoot" promo is a good idea to shake up things or add a more "personal" point to a feud, but in this case having FOUR specific shoots going on at once is a little excessive; sadly, the execution of all said shoots is a bit spotty and could cost WWE more viewers if they continue to use this tack. Let's start on RAW with the one I touched on a couple of weeks ago: John Cena v. Roman Reigns. In the three mic duels Cena and Roman have had, I'd almost ask for a "mercy rule" since Roman's only had 1 or two good lines in three weeks while Cena casually blisters Roman left and right. When I saw someone suggest Cena break out the Thuggonomics character, I thought "why kill Roman any more than Cena's doing right now?" I still don't understand what the endgame is for these conversations, especially this week when Cena chose to bring up Roman's Wellness Violation. As a Roman fan (still am), the immediate reaction was "Cena you done gone too far". That's the reaction they wanted, I guess. So again I ask, how is this supposed to help Roman going forward? Am I supposed to hate Cena for verbally tearing someone I want to support to pieces? 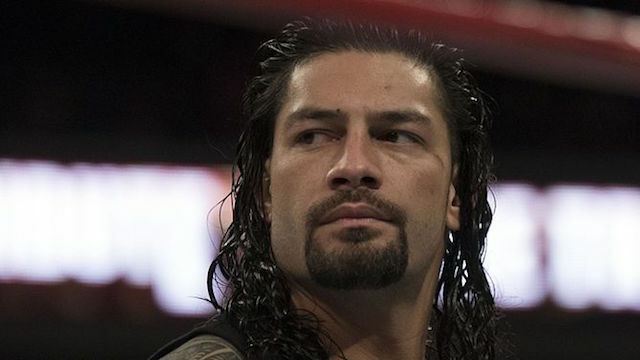 Am I supposed to be angry at Roman for not just punching Cena in the mouth and getting on with it, as any other Samoan would do? I just don't understand the endgame. If it's a war of words, I think there's a "John Cena House Rule" that he's not allowed to lose in a mic fight. Miz didn't get to win, and he's had a few shots at it. Jericho's tried, too. But in the case of Roman- a guy who should be booked more like Braun Strowman than Cena 2.0 – is being put in this position to fail. That's not entertaining. At all. Speaking of Miz, the new gunfight erupted on Miz TV when the Miz called out Enzo Amore on his backstage behavior. Miz actually toed a face line when he said he related to Enzo and what he's going through but disapproved that Enzo was in no hurry to change his ways. To some fans, this might be a bit jarring since Miz has been one of the most disliked wrestlers on both sides of the guardrail, but has since smartened up to how things work to get his character in the place it is now. Enzo's act has not changed since he has been called up, and to WWE's credit (intentional or not), Enzo would, on-camera, piss other wrestlers off until even his "Closest friend" Big Cass had had enough. Cass' injury cut that story short for now, and shipping ‘Zo to 205 Live was smart. Even if you didn't like him you knew who he was, and he had enough RAW exposure time that when casuals watch 205 Live, they can point to Enzo and say "hey, I know him! Him and that mean ol' Neville." Enzo commented that at least he's original, and Miz steals from everybody else. While true, it doesn't excuse anything that he's done off-camera to anger other wrestlers or the office. Is this compelling television? It might be for those of us who follow things when the cameras are turned off. I wonder how confused the casuals are, or if they think that Miz is just blowing things out of proportion. It reminds me of a scene from a 2000 episode of Nitro where Sid Vicious was ordered to relinquish the World Title and "Scissors" were brought up… to almost zero reaction. Granted, this was before the internet was part of EVERYTHING, but most casuals don't go to message boards or wrestling news sites. They MIGHT go to wwe.com for information, highlights or merch, but how much time does a casual fan actually spend on the internet looking up wrestling? I'm thankful that Miz's comments got some "oohs" and "ahhs", but nowhere near the reaction it would get in a smarkier city like Chicago or NYC. Smackdown has decided to jump on the bandwagon. Dolph Ziggler, who is currently without an opponent, has picked up his gun and started complaining that despite his years in the company, he's never really had the spotlight because he doesn't have fancy pyro, a chantable catchphrase, special lighting, etc etc and that he should be judged on his wrestling merits alone. While correct to a point, many fans have not forgotten that he had one of the largest reactions to a MITB cash-in outside of WM31, has been a Sole Survivor in a Survivor Series match, has several US and IC titles to his name, and some tag championships (one he admittedly shared with four other guys during his Spirit Squad days). While he hasn't been in the title picture in recent times, I don't think it's because he doesn't have any of those extras. He's had arm candy (AJ Lee, Vickie Guerrero), a bodyguard (Big E), a nickname (the Show-Off), and he still maintains a strong female fanbase because he's a pretty good-looking dude. Ziggler's complaint rings a little hollow given that he HAS had success despite not having all that extra fluff and that his move set hasn't evolved much over the last few years. His finisher is unique (the Zig-Zag) but easily countered; he has the Fame-asser and Sweet Chin Music in his arsenal (and has drawn many comparisons to their originators, Billy Gunn and HBK, respectively) but typically wrestles in a similar style face or heel. His delivery also feels a little off because I'm not sure if he even believes what he's saying. I'm guessing he's attempting to be the "anti-showoff" but in that he's getting bonus screen time making fun of various wrestler's entrances. So should I boo him for making fun of wrestlers that have all that cool stuff and he doesn't? Should I cheer him for speaking out, which has also been something he's done multiple times to generate storylines? If he really wants to get me, he needs to commission a song as grandiose as "Glorious", get some neon face paint, a robe with his name on it and bedazzled in gold and silver, come out with five women and a bodyguard (Rosebuds need work, yo), and have a pyro cluster bigger than Edge or Batista's… all in ONE entrance. Then he should face someone with none of these things in their intro (Chad Gable?) and see where it goes from here. Finally, in case you weren't paying too much attention to it, Kevin Owens is doing one and probably doing with the least amount of fanfare. Owens has had beef with Shane for a little over a month now regarding how things have been going down in the US Title division. He spoke up about it, including comments about how "McMahons just want the screen time" and how Shane "Upstages the guys who bust their asses 300 days out of the year". In the course of the next couple of weeks, he gets into a couple of physical altercations with Shane, then has Vince called on him (who he beats up thanks to Exact Wording) and has Stephanie in his face. I was waiting for Linda to appear at the top of the stage, shaking her head in disappointment. For a bad guy, Kevin is sounding more "right" by the minute, even if the lawsuit route wasn't a popular idea. Strangely, that's a very realistic way to get the attention of a corporate office and even if Kevin was bluffing, he put the right words in the right order to get the right actions from those he's chosen to go up against. And in this process, he has been proven right – how much time was spent on Sin City Smackdown talking about Vince and Shane? Are we going to forget that the Usos and the New Day tore the house down with their tag title match? Are we going to forget about Jinder Mahal's verbal taunts to Nakamura, which I'm sure some people will say came across better than anything Roman has said in the last three weeks? Are we forgetting about the other stories that are going on while they decide that Real Life Adds to the Plot? Whether any or all of these are partially worked, I think IRL has a place most of the time, and that's off-camera. Think about if WWE used this approach for Paige's return and they brought up Del Rio, does that help anyone? Should I brace for when one of the other women wrestlers starts taunting Tamina about her father? Ditto for Natalya about HER father and why she brings up her more successful uncle instead? Will there be a promo to Charlotte about her father's health? Real life is a very slippery slope. Mixing it with wrestling isn't always the best recipe.